Wow! What a crazy day Monday was. For those unaware, several months ago I was involved in a bike accident that ended my cycling career, but spurred my entry into triathlon. Unfortunately, part of that accident was a chip of bone floating around in my wrist, cause excruciating pain whenever I move it. 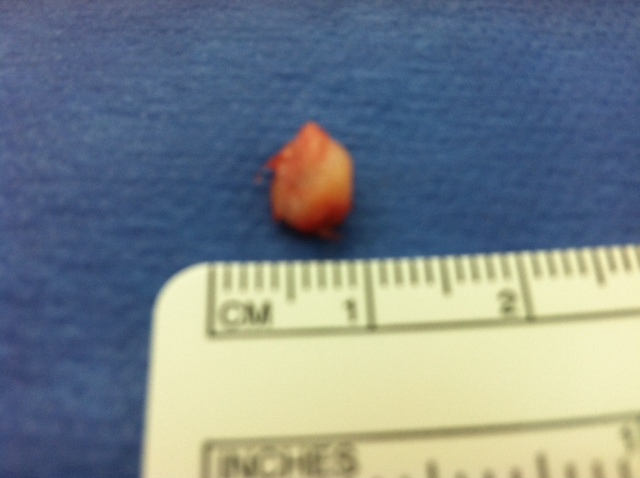 Well, on Monday the doctor removed it! It was quite the process, although not particularly exciting. I’ll be out of the pool for a couple of weeks, but, once everything is healed, I’ll be back to doing a poor dolphin impression in no time! After I cam out of the anastesia, I was a mess though! Apparently, all I could talk about was my wife’s pregnancy as well as this website! I was very adamant that the nurses visit my little corner of the internet. I do have to commend the fine staff of the Boulder Surgical Center, which is part of the Boulder Community Hospital. They were very attentive to my needs and were very compassionate regarding my injury. If you ever need to have surgery done, don’t hesitate to go there. Also, Dr. Conyers of Colorado Hand & Arm is an absolutely fantastic surgeon. Training wise, the plan is to not worry about swimming, since I can’t do anything about it, and really work on my running and cycling. I’ve scheduled an extra LT session this week on the bike as well as upped my run mileage. Hopefully my body will handle the 34 miles that I plan to traverse by foot (that includes a 7 mile track session), but I’ll make sure to listen to my body. There’s nothing worse than trying to get a good training block in only to get injured half way through!